Welcome to our website where we try to go over the basic Barclays fantasy football tips and tricks. In this article, you are going to get some details on what you need to do when selecting a fantasy football team as well as what you should avoid when making your selections. I hope you find the fantasy football tips below helpful by the time you are done reading them. “I always don’t have to go through the rules; they are the same and straight forward.” This is a common saying that you will always hear people say. You will hear some people say that they’ve always been winning without having to go through the rules. This may be true for some people since they usually use the same website while playing the Barclays Fantasy Football through the same website over and over. However, it’s important that you note different websites have different rules and regulations. The point system in some websites will differ. 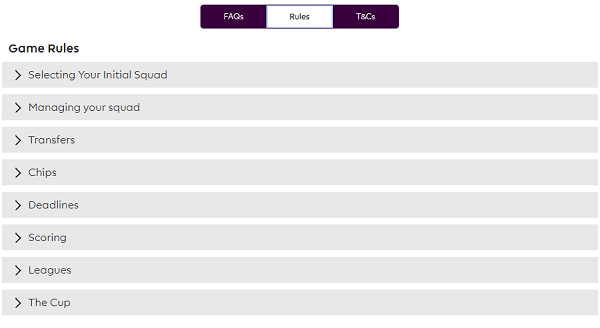 For example, the official Barclays Premier League FF website will have different ways of awarding points to players as compared to the Draft fantasy football. Moreover, there are websites that have bonus points for clearance, interceptions and blocks while others will not offer the same. It’s important to note that championship teams which have just been promoted to the English Premier League can be a very good option to any fantasy football manager. This is because they tend to have some top-class players who are relatively cheap and deliver the results. For example, when you look into Watford, who were just promoted into the EPL in the 2015/2016 season, Ighalo has made 36 appearances and managed to score over 15 goals. At a price of £5.6, he could have been a good value for your money. When selecting players, always ensure that you have checked the clubs calendar in advance. In my opinion, some of the top Fantasy Football managers can attribute their success to following the Barclays fantasy football scout fixture. 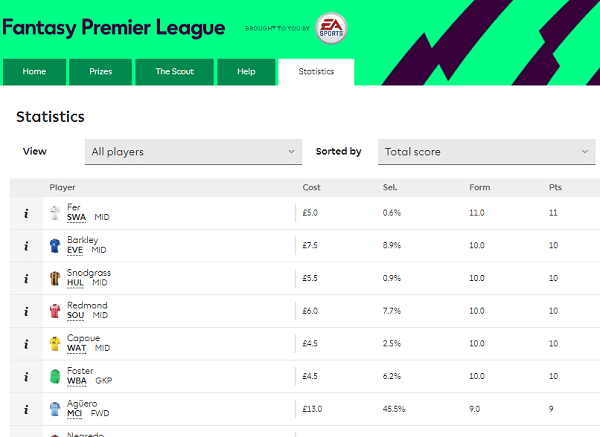 In the just concluded 2015/2016, one of the top players, who defeated more than three million fantasy managers stated that his great success was as a result of following the Fantasy Football Scout’s fixture. Asked how he fared on in the previous seasons, he said that he’s never finished out of the top 100 managers thanks to the Fantasy Football Scout’s fixture ticker. According to Paul Weston, one of the senior managers at ISM games, he usually advises the various Fantasy football players on one thing, to always play with their heads and not their hearts. If you are an Arsenal for example, and they happen to play Watford, there are some facts that you need to consider. Watford is at the bottom of the table, but they also have a history of not conceding goals. If you have an Arsenal striker, say Giroud and a striker such as Harry Kane, why select Giroud as your captain and yet you can select the on-form striker Kane as your captain? The point is, put your club loyalty aside if you want to score points when playing the Fantasy Premier League. One mistake that most people do is picking a team as if they are really managing a real time football team. When playing the fantasy football, you don’t need center halves in the field. Actually, you don’t need any center half at all. When selecting players, you will fair off well with fullbacks instead. However, ensure that your team's defensive line is not filled with minnows. You have to ensure that they are all from top teams. Top fullbacks usually get 70% of the ball, and they will usually be pressing the opponents wings. As a regular fantasy player, I will caution you from picking the all-important transfers very early in the week. You may never know when a player will pick up an injury or may fall sick. My fantasy football tips and tricks is to wait for as long as you can. Avoid picking your game week’s team very early lest you get snookered. Moreover, don’t make any changes for the sake. Make transfers when necessary. Additionally, pick cheap players who deliver results. Avoid going for the Galacticos, who will cost you so much and end up failing to deliver. As much as James Millner may have been condemned to the bench in the England squad, he can prove to be a utility player to the fantasy football managers. They have always proven to be godsend. My preference is picking a player who is difficult to categorize. Always pick defenders who are played in midfield. The reason is simple; such players have high opportunities of scoring goals, they also get to assist, and when they get a clean sheet, you get a defender's points since they are classified as defenders. As stupid as this may sound, there are too many fantasy football managers out there who have full of players sited on the bench every weekend. Picking players from teams where managers are fond of rotating them is a risky affair. My fantasy football tips and tricks on this one will be to pick regular players who are guaranteed of starts every week. Claudio Ranieri proved that he could use the same players and win. It would be advisable if you went for performing players from his squad. These are just some of the basic Barclays fantasy football tips and tricks. You could sign up at one of the sites that offer the Barclays fantasy football and start playing today. In the process, you can also come up with some of your strategies and share them if they work out well for you.